Mount Tomah Botanic Gardens is located 1000 metres above sea level in the heritage-listed Blue Mountains, west of Sydney. They are the cool-climate gardens of the Royal Botanic Gardens Sydney. They extend over 28 hectares and are home to over 5000 plants that would not grow well in Sydney’s warmer climate. It is also home to a variety of Australian wildlife. In 1804 plant collector George Caley became the first European to reach ‘Fern Tree Hill,’ now known as Mount Tomah. The Aboriginal word ‘tomah’ means ‘tree fern.’ Subsequent exploration of the immediate area revealed that the mountains were capped with basalt, the result of ancient lava flows. Because of this, the soils were well-drained and rich in nutrients, unlike other areas of the Blue Mountains. This gave rise to a tall eucalypt forest with an understory of tree ferns and created a temperate rainforest. Mount Tomah’s rich soils and climate combined with its location along early exploration and transportation routes made it the ideal location for a colder climate garden. The gardens focus extensively on plants from the southern hemisphere as they are distinctly different from northern hemisphere plants while bearing remarkable similarities to each other. This is despite the vast distances between continents like Australia, South America and Africa. These similarities are due to the fact that the southern landmasses were once part of Gondwana, one large super-continent. Many of the plants in the garden have been grouped together based on their geographic origins, making a trip around the gardens a mini tour of the world. This gives you the opportunity to see the similarities between plants that once called Gondwana home and highlights the unique characteristics these plants developed as they grew in isolation. Plants to look out for include proteas from South Africa, fuchsias from New Zealand and giant lobelias from Mount Kenya. The gardens are also home to a significant number of northern hemisphere plants including oaks, pines, maples, cherries, rhododendrons, roses and many stunning ornamental plants. The Wollemi Pine is a rare and endangered treasure. It was discovered by David Noble in a remote wilderness area in 1994. Until then this evolutionary line was thought to be long extinct. Look out for this pine while exploring the Gondwana Garden. General admission is $5.50 Au for adults or $3.30 Au for children. Admission is free with a See Sydney Card. The Mount Tomah Botanic Gardens are located on the Bells Line of Road and are an easy day trip from Sydney. If driving, take the Bells Line of Road from Richmond, through Bilpin. Allow 1 hour 45 minutes to get there from the Sydney CBD. Free parking is available on site. There is no public transport to the gardens. Nearby attractions include Katoomba, Leura, Scenic World and Jenolan Caves. The Mount Tomah Botanic Gardens are open from 10:00am-4:00pm from the end of Daylight Saving in March to October and from 10:00am-5:00pm from the beginning of Daylight Saving in October through to March. They are closed Christmas Day. The Mount Tomah Botanic Garden Restaurant is open every day except Christmas Day. There is also a kiosk (open most weekends and public holidays), barbeque facilities and picnic grounds on site. The Garden shop offers a wide variety of gifts and souvenirs including Australian plants, books, posters, clothing, toys, stationery and jewellery. A selection of botanical art by Australian artists is also available. See Sydney Cardholders receive 10% all purchases. Some areas of the gardens are wheelchair accessible. However, there are several steep paths and stairs. Wheelchairs are available at the Visitors Centre. They are free of charge, but a refundable deposit is required. 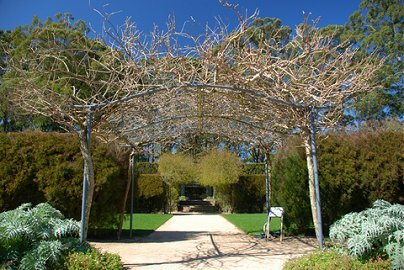 You can contact the Mount Tomah Botanic Gardens directly on (02) 4567 2154. Have You Visited The Mount Tomah Botanic Gardens? Please share your experiences of or questions about the Mount Tomah Botanic Gardens in the comments box below. This entry was posted on Monday, June 6th, 2011 at 11:08 am	and is filed under Sydney Gardens. You can follow any responses to this entry through the RSS 2.0 feed. You can leave a response, or trackback from your own site. You’ll encounter a change in your lifestyle after undergoing this bariatric surgery. Body Mass Index (BMI) is an important factor to determine obesity. The weight loss also reduces their risk for several diseases.